Industry analysis reports are always packed with great information, lots of it. 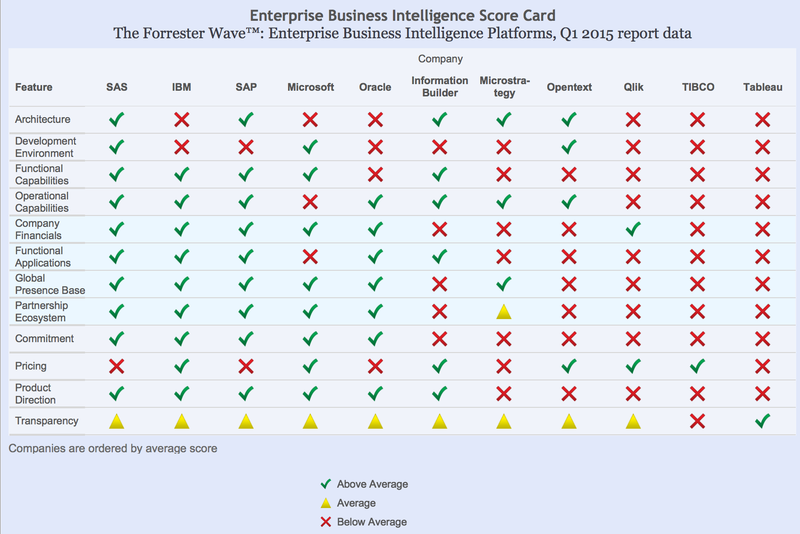 Data visualization however helps better understand the conclusions reached by Forrester in their The Forrester Wave™: Enterprise Business Intelligence Platforms, Q1 2015 report. 11 vendors in this industry are included. Table 1 shows the summary scorecard, and details are presented below the table. 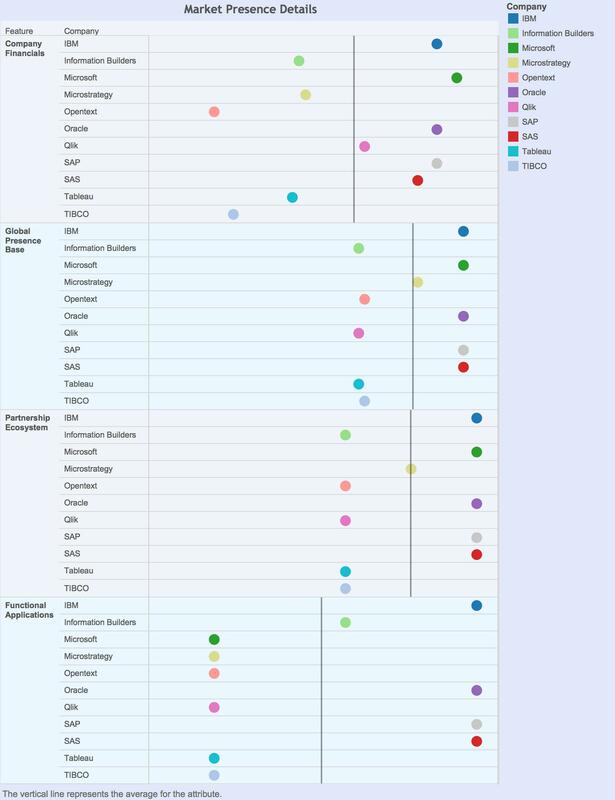 The top level comparisons involve 3 categories: Current Offering, Strategy, and Market Presence. 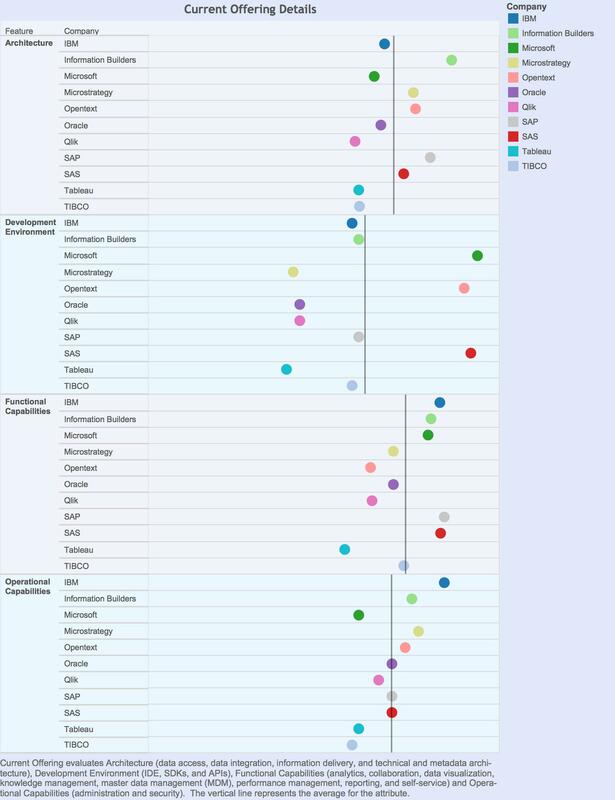 We can also look at the scores that went into every one of these categories and see how vendors compare at a more granular level. 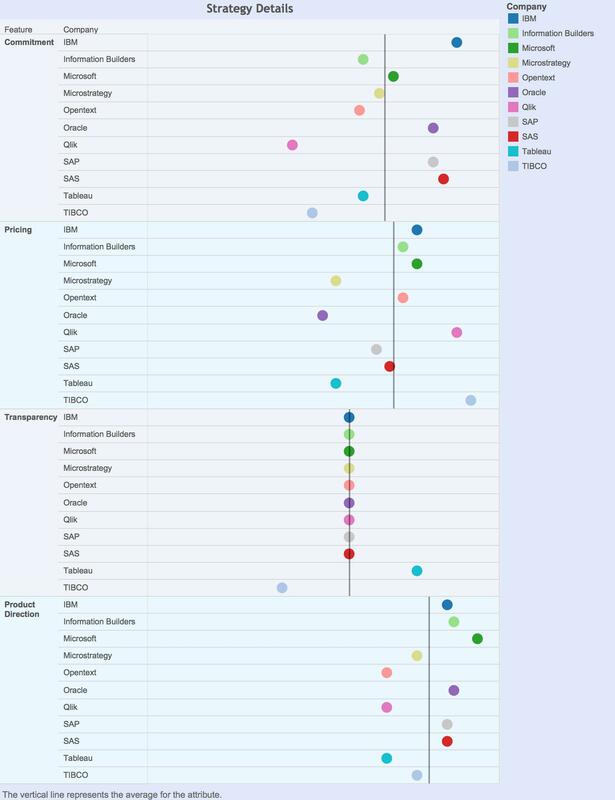 This entry was posted in Analytics, Business Intelligence, Data Visualization and tagged #businessintelligence. Bookmark the permalink. 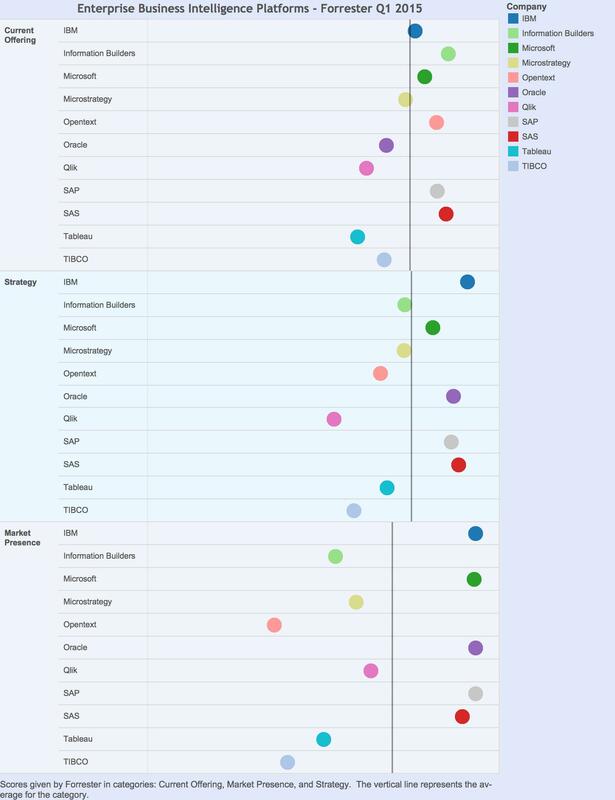 ← What Data Science Tool Have you used in the past 12 months?